HOLLYWOOD, Calif. – IVORY TOWER, CNN Films’ critically-acclaimed documentary about the American higher education system at a crisis point, makes its home media debut when it arrives on Digital HD and VOD September 16, 2014 from Paramount Home Media Distribution in association with Participant Media. The film will be available on Blu-ray and DVD on September 30. Director Andrew Rossi’s (Page One: Inside the New York Times) hard-hitting documentary premiered at the Sundance Film Festival where it was nominated for the Grand Jury Prize. 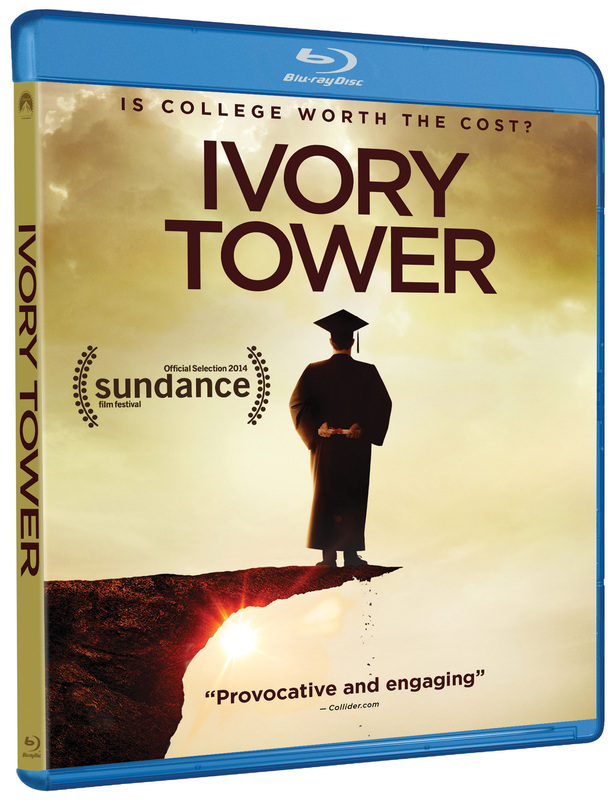 A must-see for every parent and student facing the daunting task of selecting—and paying for—college, IVORY TOWER will be available to download or stream at all major digital stores prior to its debut on Blu-ray and DVD. Participant Media, which has a long-term commitment to focusing on the importance of education, mounted a social action campaign around the theatrical release of IVORY TOWER to support affordable higher education. Participant’s campaign, in concert with The Higher Ed Not Debt Coalition, will continue in support of the home media release. Visit www.takepart.com/ivorytower for more information. The IVORY TOWER DVD is presented in widescreen enhanced for 16:9 TVs with English 5.1 Dolby Digital and Spanish 5.1 Dolby Digital and English, French, Spanish and Portuguese subtitles. The DVD includes the feature film in standard definition. Participant (participantmedia.com) is a global entertainment company founded in 2004 by Jeff Skoll to focus on feature film, television, publishing and digital content that inspires social change. Participant’s more than 55 films include Good Night, and Good Luck, Syriana, An Inconvenient Truth, Food, Inc., Waiting for ‘Superman’, The Help, Contagion and Lincoln. Participant, uniquely, launches campaigns that bring together government entities, foundations, schools, and others to raise awareness and drive people to take action on issues from each film or television show. Pivot (Pivot.tv), the company’s television network, is available in 45 million homes, serving passionate Millennials (18-34) with a diverse slate of talent and a mix of original series, acquired programming, films and documentaries. Participant’s digital network, TakePart (TakePart.com), is a leading source of socially relevant news, opinion, entertainment and information about ways to get involved with the issues that shape our lives. Through its films, social action campaigns, digital network, and its television network, Participant seeks to entertain, encourage and empower every individual to take action.